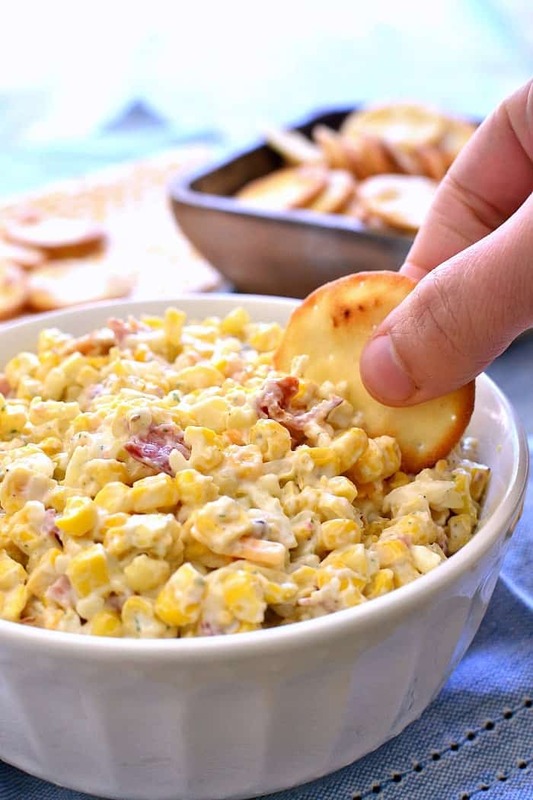 This Bacon Cheddar Ranch Corn Dip is made with just 5 ingredients and packed with flavor! Perfect for game days, holidays, or any days in between! For the most part, the changes just make sense. They’re part of a natural progression that goes along with the rest of our lives. We have 4 kids, so we spend a lot of time talking about them. We rarely go on dates, so when we do, we like to really treat ourselves! And when it comes to arguing, well, I’d like to think we argue better than we did 11 years ago. Although that’s probably up for debate. And then there are the changes that neither of us would have seen coming. The little things in both of our lives that inevitably affect our marriage in different ways. Issues with friendships and work and family….and for me, challenges with being a work at home mom (something I never would have envisioned for myself). As silly as it sounds, one of the things I struggle with most as a work at home mom is jealousy. Especially when it comes to some of the “perks” of Jorden’s job. Namely….those involving FOOD! Seriously, it sometimes feels like sheer torture hearing about all the amazing lunches and dinners he gets to enjoy “on the job”. Sushi? Tapas? Seafood? Yes, please! But alas, my reality is more along the lines of grilled cheese and tomato soup. Harrumph. It’s probably why I look forward to weekends so much…not just for the chance to relax and have fun, but for the good food that typically comes along with them! And it’s probably why I love having people over on weekends…because it gives me a reason to make (and eat) ALL the delicious food! One of my new favorites? 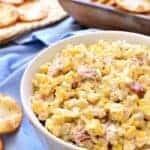 This Bacon Cheddar Ranch Corn Dip! Seriously, I could eat it by the spoonful. 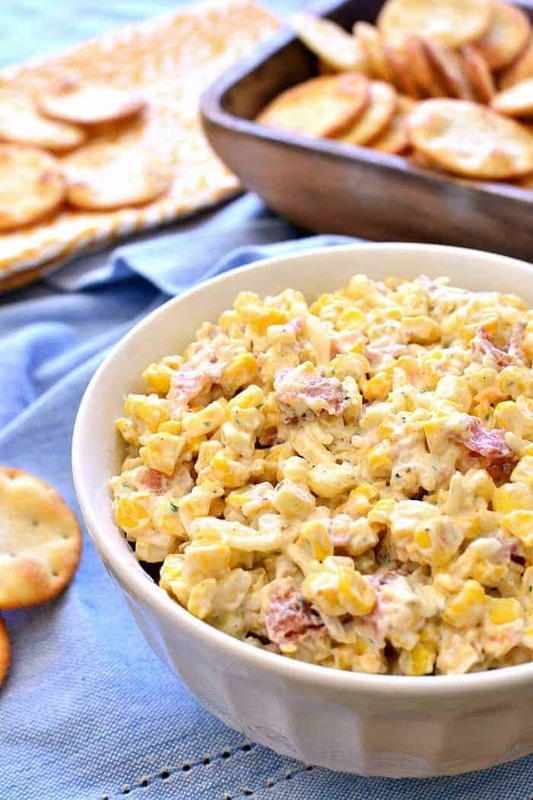 It’s creamy and cheesy and made with fresh corn and BACON…which, as we all know, makes everything better. Including 11 years of marriage. 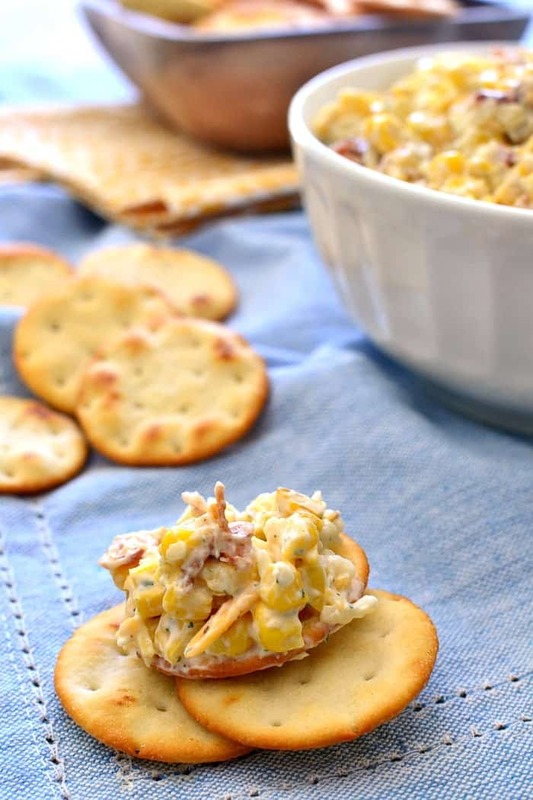 This Bacon Cheddar Ranch Corn Dip is made with just 5 ingredients and packed with flavor! Cook corn in a large skillet over medium heat until it begins to char. Cool. 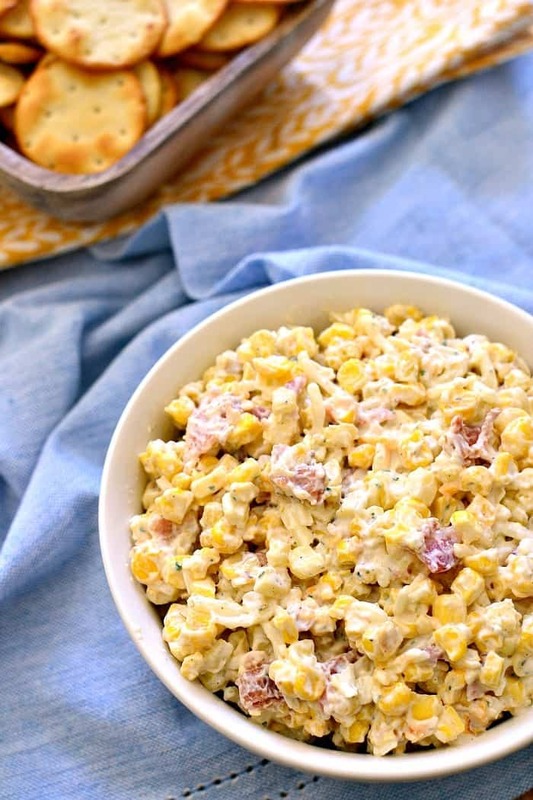 Combine corn, cheese, and bacon in a medium bowl. In a separate small bowl, combine sour cream and ranch dressing mix. Add sour cream mixture to corn mixture and stir to combine. Ummmm, yeah! This needs to go on our game day menu! First off congrats on almost 11 years! That is a goal that is not easy to achieve these days! Being a blogger working behind a computer all day can be challenging in itself and can get lonely. My hubby and I have a weekly lunch date and we treat ourselves as well! It’s good for my soul and good for us! 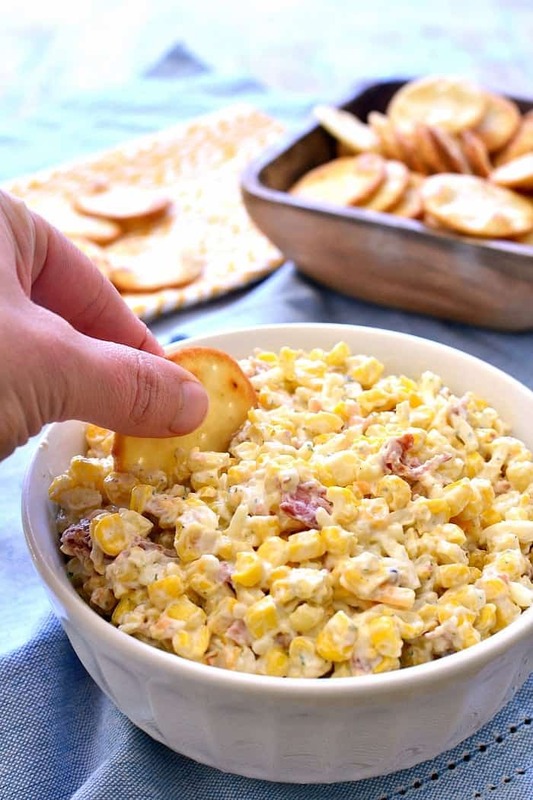 I’ve not had a corn dip before but it looks inviting! Congrats on 11 years, Cathy! Things certainly do change over time, especially with kids added to the mix. 🙂 Great food always makes things better, and this dip would be such a crowd pleaser for Game Day! Food and friends is the best! And Happy Anniversary! This dip looks delicious.